Signed as a minor-league free agent by the Tigers, Martinez hit .234/.265/.391 in 136 plate appearances for Low A Michigan of the Midwest League before his release last week. He is expected to help stabilize third base for the Drive, where seven players have seen time in 2013. Despite being ranked as the 45th-best prospect in the 2009 draft, Younginer lasted until the seventh round because of a commitment to Clemson. 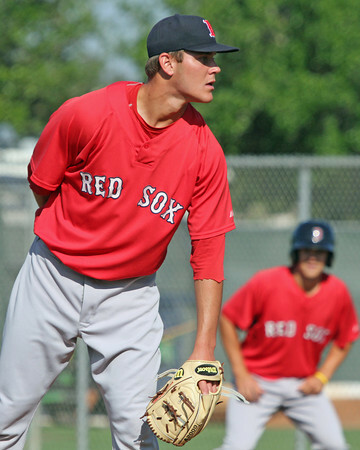 The Red Sox took a chance on him, and were able to sign him away from school with a $975,000 bonus, but his results have been mixed. After a difficult 2012 season with Greenville, Younginer was assigned to repeat the level in 2013, while making a transition to the bullpen. While his 5.59 ERA and 1.707 WHIP in 19 1/3 innings are not eye-catching, there have been many positives in Younginer's performance. The 22-year-old right-hander has struck out 30 of the 91 batters he has faced, and eight of the 12 runs he has allowed came in only two of his outings. His last five appearances have been strong, with only one run on three hits allowed in 7 1/3 innings, with 10 strikeouts and only one walk. To make room on the Salem roster for Younginer, outfielder Kevin Heller has been assigned to extended spring training.